The procedure is defined as a temporary stored procedure as I didnt want to leave a trace when I disconnect. 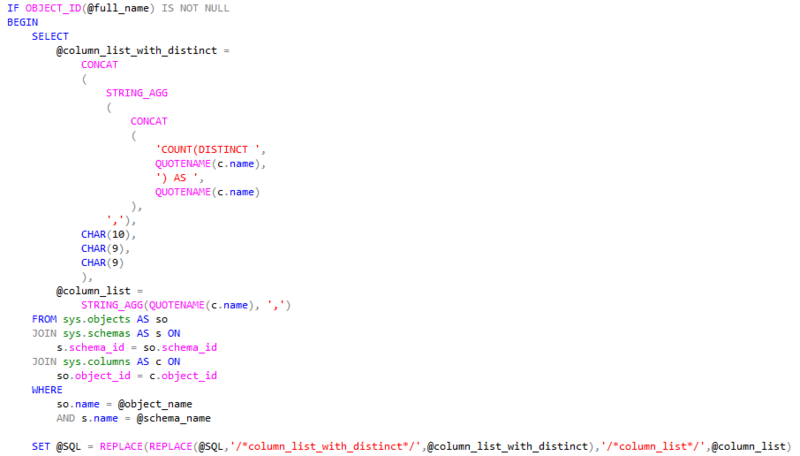 I then define the dynamic UNPIVOT statement, which we will feed our dynamic column listing from. Gather our columns (twice) – once for the COUNT(DISTINCT), and once for the use in the columns we want to UNPIVOT. 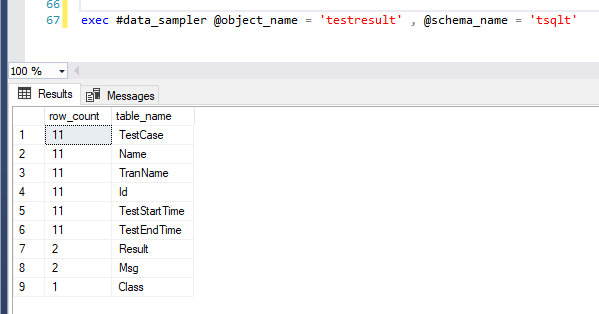 I also utilize a @magic_value variable in the code (not shown) which I use to deal with the fact that a NULL value in an UNPIVOT statement wont count as an occurrence. I want to disambiguate from NULL and any particular value that might occur, so using something like -1 or some string NULL would be inappropriate.